OnePlus, the Chinese smartphone maker has revealed a few key features of its upcoming flagship smartphone OnePlus 2 in a Reddit AMAA (Ask Me Almost Anything) session. Rumors has it that OnePlus 2 may have the same 5.5inch display as on its predecessor. There are chances that the company has reduced the bezel without changing the display. Upon being inquired about the battery life of OnePlus 2, the company replied by saying that the capacity of the battery is increased by almost 10%. 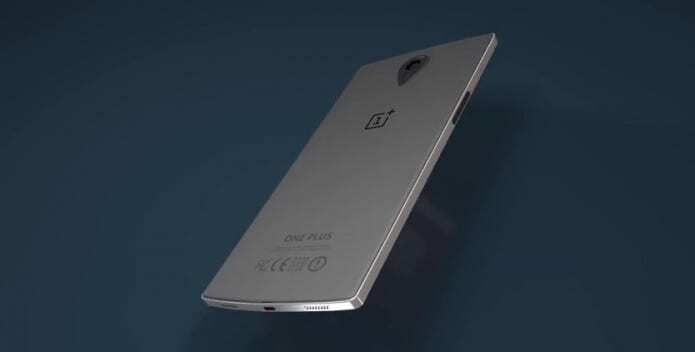 The OnePlus 2 smartphone will have a 3,300mAh battery in comparison to OnePlus One that has a 3,100mAh battery. The company also disclosed the LTE bands it will support in USA, Europe and the rest of the world. The company says they are proud of the build and the design. As speculated by earlier rumors, the forthcoming smartphone will have a fingerprint sensor but it will not be integrated into the touchscreen as posted by OnePlus representative. Instead, the fingerprint sensor will have a separate button, similar to what we have seen in smartphones like Apple iPhone 6, Samsung Galaxy S6, Oppo N3 and HTC One ME, among many others. However, OnePlus 2 will ‘not’ have a heart rate sensor. When launched, OnePlus 2 will be sold through the company’s invite-only model but the procedure will be more streamlined this time around. Further, after the release of OnePlus 2, the company does not plan to stop manufacturing OnePlus One. Other specifications confirmed by the company include Qualcomm Snapdragon 810 chipset, 4GB Of RAM, USB Type-C, fingerprint scanner and Oxygen OS. As earlier revealed by the company, the phone will be priced under $450 (about Rs. 28,999). OnePlus 2 will come with “much, much better” StyleSwap covers. The StyleSwap cover comes only in bamboo finish and costs Rs. 1,499 in India. The OnePlus 2 will be globally unveiled on July 27 through a Virtual Reality event for which the company has developed a special app. Anyone with or without the cardboard VR, will be able to view the launch event using the app.